A new experience, billed as the UK’s ultimate adventure destination, has opened at the NEC. 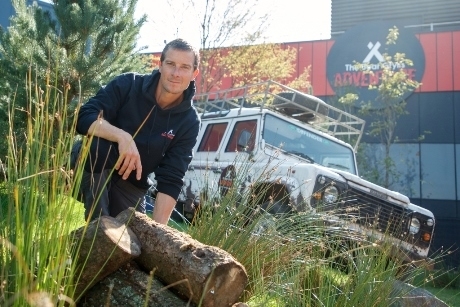 The Bear Grylls Adventure, created by Merlin Entertainment in partnership with Bear Grylls, opened at the NEC yesterday for thrill-seekers to experience a ‘whole world of adventure under one roof’. Bear, who visited the attraction this week, said: “It was incredible to see the attraction for the first time, after two years of planning. It’s all about bringing that spirit of endeavour into one place. This is the UK’s ultimate adventure destination where people can experience so many of the world’s most exciting challenges. Survival Maze: Navigate the tricky maze under pressure. When the lights go out and the walls are squeezing in, when faced with some terrifying encounters, you find out what your group is really made of. Assault Course: Channel your inner commando spirit and take on the assault course, inspired by the Royal Marines Course in Lympstone. This requires adventurers to balance, jump, climb and scramble their way through and always against the clock. Target Archery: The ultimate adventurer must also possess pin point accuracy under pressure. Following a brief from trained archers, visitors will get to grips with a bow and arrow and put their skills to practice. Escape Room: Groups can race against time to crack codes and solve puzzles in the themed escape room. They’ll need to work together by finding clues and completing mental challenges. There’ll also be activities to replicate some of Bear’s incredible adventures including skydiving, climbing high ropes and diving. Those with 10 or more can claim a 10% discount for their experience and will receive free digital photos as part of the package. Main image: Bear Grylls at the new attraction in Birmingham.